This is quite possibly the most exciting Hotel Review for me. 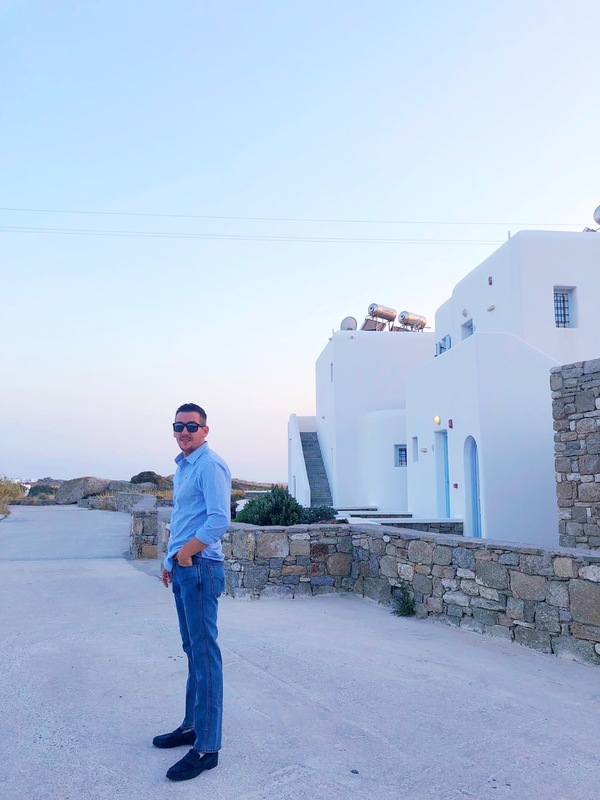 In May we spent four days at the Aeolos Mykonos Hotel – a small but lovely hotel with a 4 rating on Trip Advisor, for the first leg of our Honeymoon. I’m not the most emotional person you will ever meet but I teared up (a bit) while editing these photos. 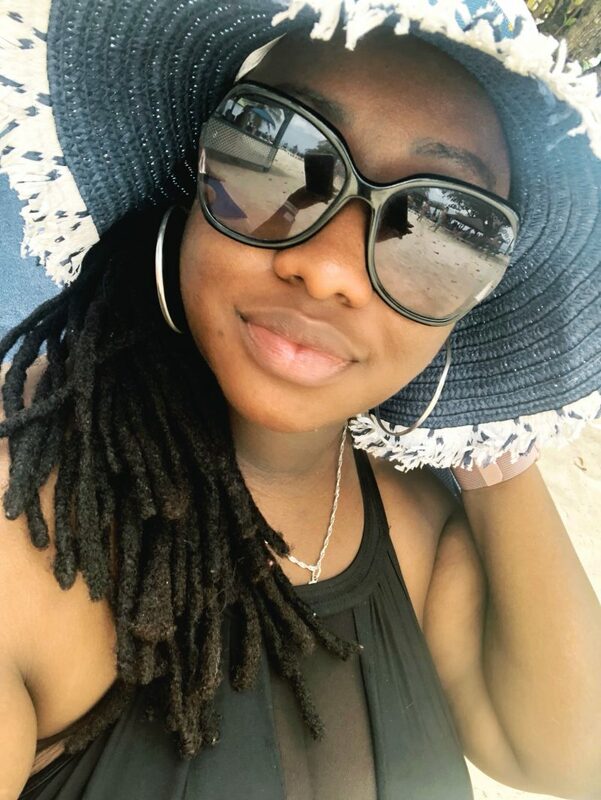 I keep thinking that this will forever be the place where we went on out Honeymoon and there is something so … sentimental about that. I keep telling Danny we must go back to Greece soon. 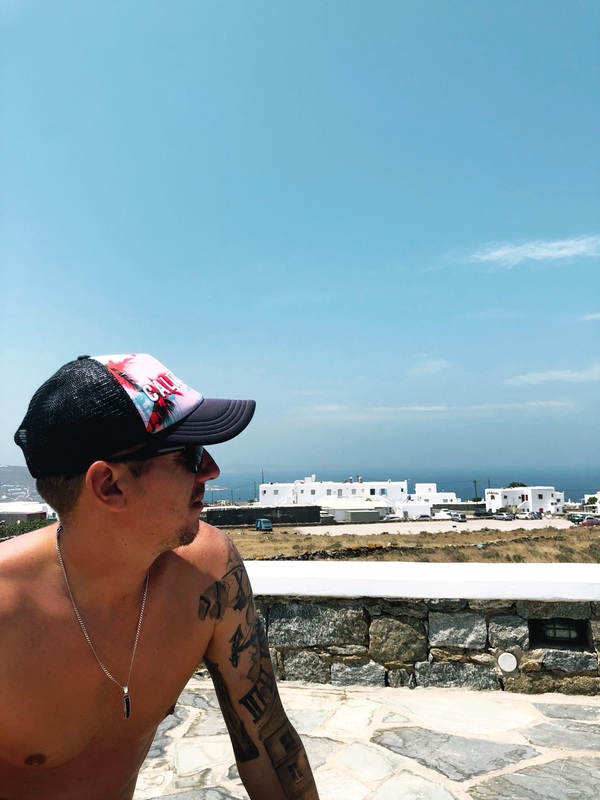 He loved Greece but since he grew up only 2 hours away from it, it doesn’t have the mystical element that it does for me. I get it, but I also get that we will be going back. ha! 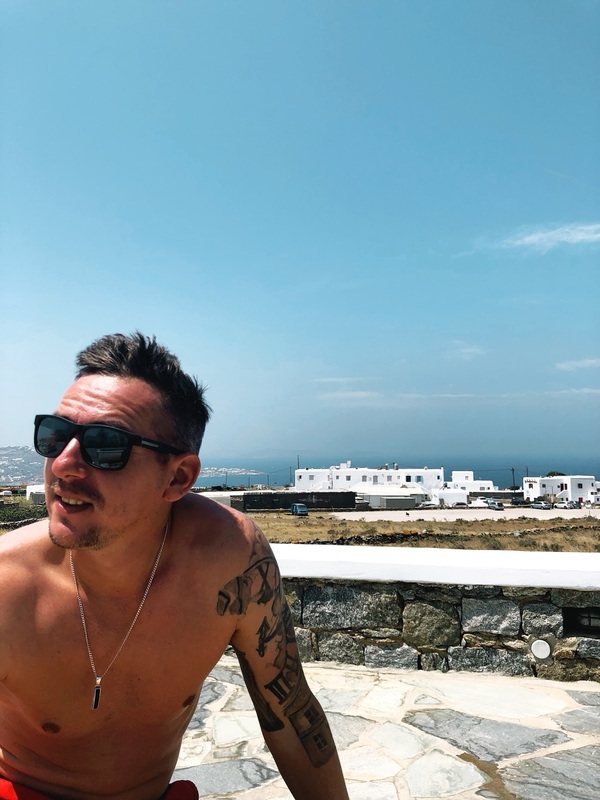 Mykonos isn’t a very big island. In fact, both Danny and I were shocked at how small it was. Its beautiful! 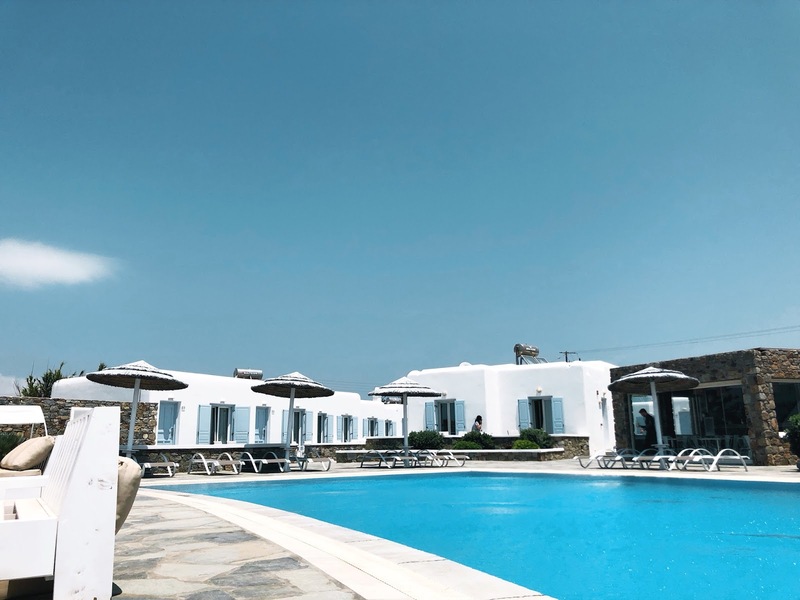 The Aeolos Mykonos Hotel is about a 10 to 15 minute walk down to the city centre and in my opinion, is in the absolute best location. Of course there are hotels right in the city but the views from on top the hill here were unbeatable. The hotel was breakfast included but also had the usual room service and food at the two restaurants on site. There were two sides at the hotel – the older side and the newer side. 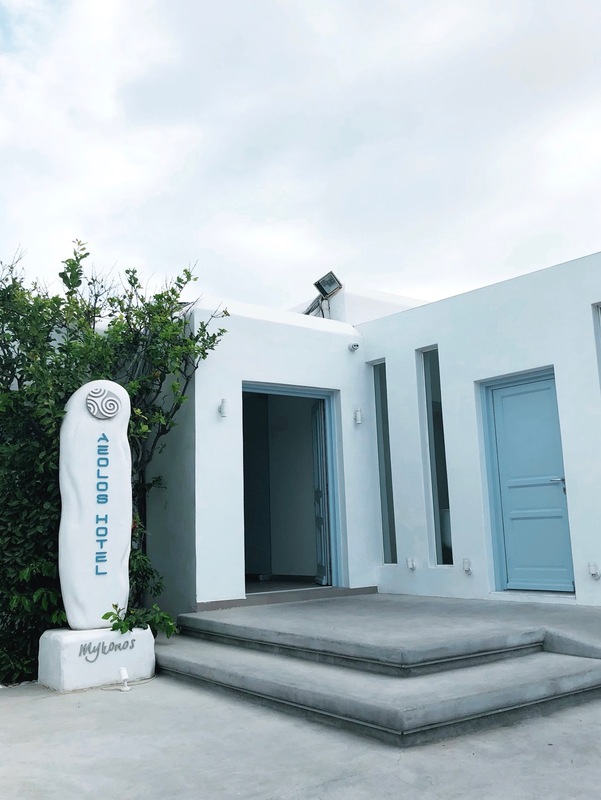 Both looked very similar with the typical Grecian island white with blue doors. The older side had the main entrance and housed the restaurant where we had breakfast as well as the lobby area. I believe it was the original hotel. Theres a short walk over to the newer side where we stayed. 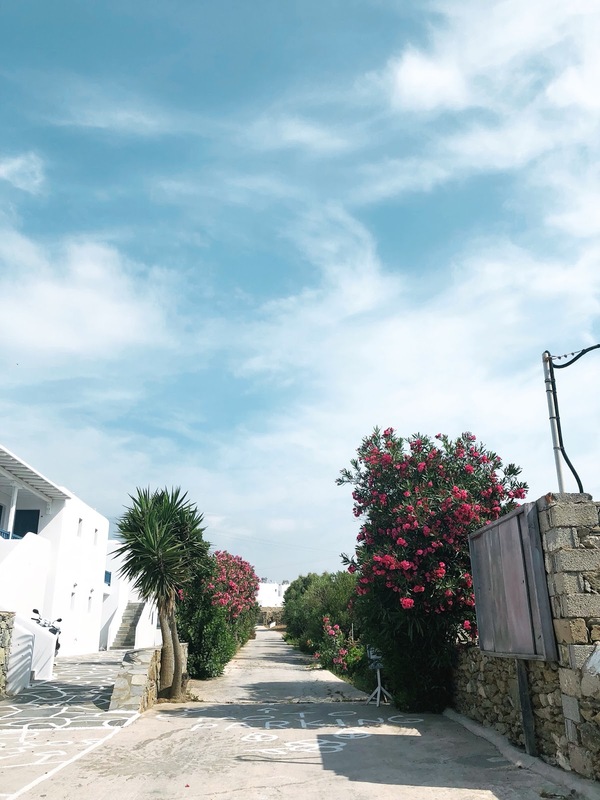 As with everything in Mykonos, the walk was beautiful and scenic. Perhaps the main draw to this hotel is the owner, Panos, and his staff. Its a smaller hotel, but it isn’t small... if that makes sense. Yet Panos, the owner, made all of the guests feel at home. All of the staff did. From the moment they picked us up at the airport to when they dropped us back, they made us feel welcome. 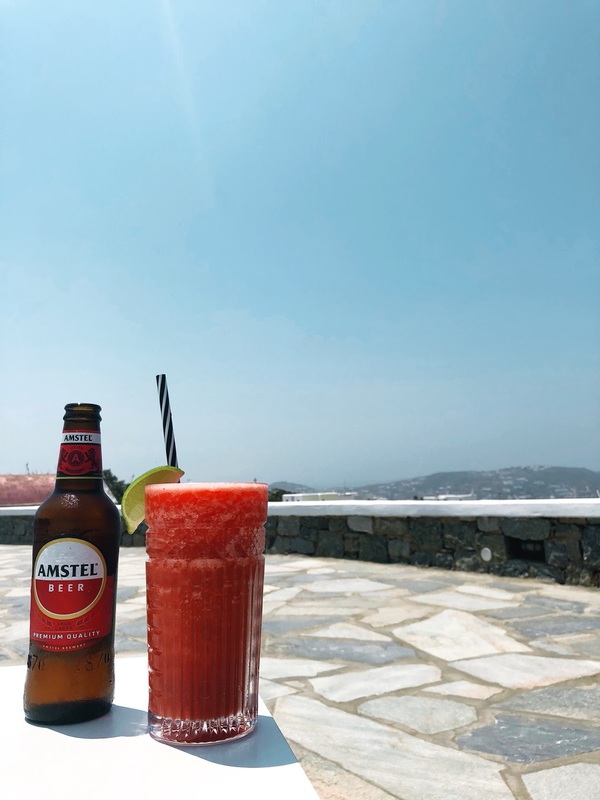 We asked one bartender for recommendations on where to go for drinks and he sat and wrote a list for us explaining why each place was good, who to speak to, and when was the best time to go (for the record his recommendations nearly all made my next posts about places to visit in Mykonos). I still have this paper in my wallet. Great staff, great people. Whenever we return we will be staying there. The hotel is not an indoor hotel. The rooms are joined but when you step out of your door you are outside. We stayed near the pool, so a walk outside led us directly there. The photos will give you context – each of the blue doors is a room. There are two pools and a hot tub on the grounds, one on the older side and one on the newer side. Our room was on the newer side so that’s the pool in these photos. 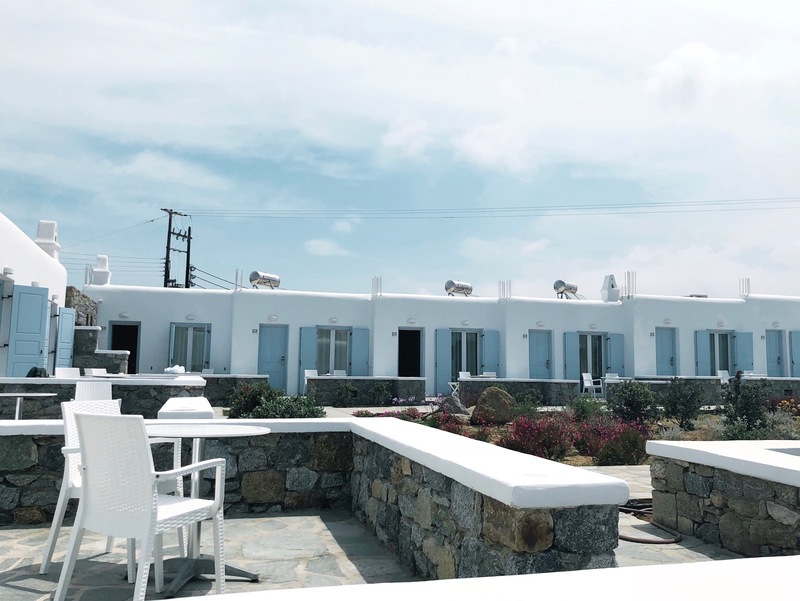 Each room on this side had a walk out balcony just outside the door with tables and chairs to lounge in the evening (Note: Mykonos at night is windy and cold – at least in May – so walk with warm clothing or there will be no lounging outside). 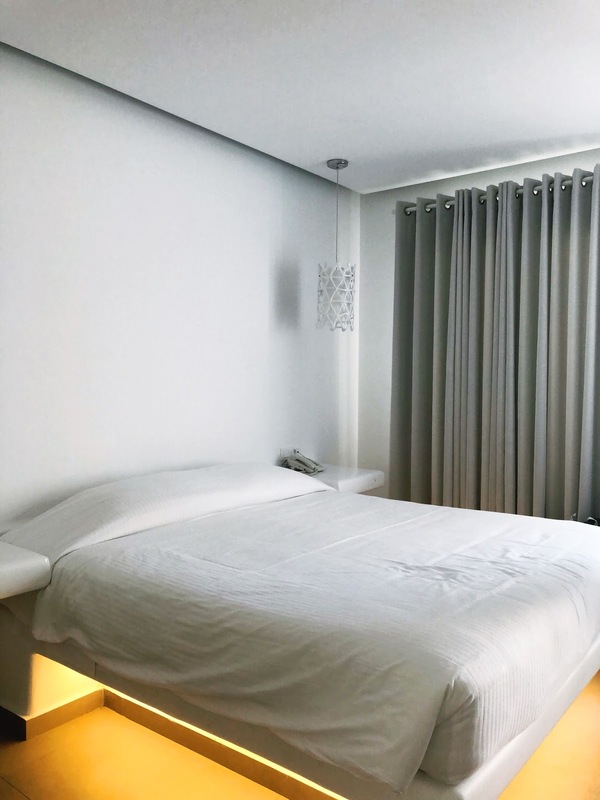 The room was big, modern and comfortable with the usual amenities; bed, closet, safe, desk and chairs. I loved the room but my absent-minded self managed to not take any pictures of it in a pristine condition. This is the best I found and doesn’t really represent how lovely the room was. The Hotel is on a hill so you can look down to the city and the Mediterranean Sea. Few things can beat staring out to the ocean, a sea of white buildings in your view. Naturally, we spent a few of the days after lunch and before dinner (both of which we did in town) just relaxing with drinks by the pool taking in the view. 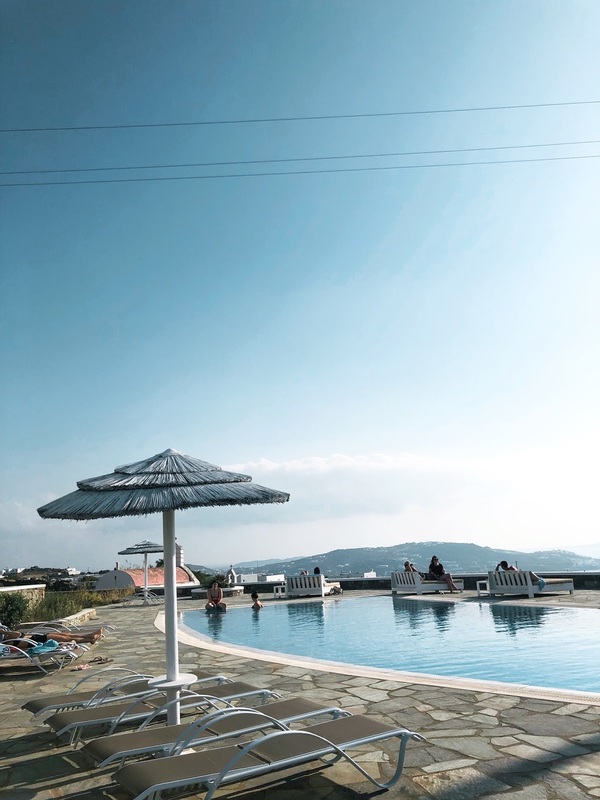 Im still pinching myself that I got to go to Greece which was on my Travel Bucket list forever.